Anonymous, 11 Jan 2019I have this message frequently ( GPS signal lost ) in my A5_2017 while using Google maps This... moreThat issue is on your data not on your phone. Can any suggest how to fix? Is it common in A5 ? Giggs, 05 Jan 2019Galaxy a5 or huawei y9 for a better long term performance and battery life ??? ?It's been a year since I have an A5 and the performance is very good. Battery lasts up to 24h at full usage (I have to say that it lasted almost 4 days in a row, but with no signal, just photos). I dropped it many times on the floor and in water and it didn't break. 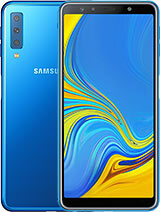 Galaxy a5 or huawei y9 for a better long term performance and battery life ???? Anonymous, 03 Jan 2019After latest update weighing about 29 MB, Battery of my A5 (2017) is draining very fast. Any s... moreFirst, Settings > Device Maintenance > Optimise. Second: Touch the Battery icon then look down the list of Apps to see which is using the power. Any apps which are frequently checking for updates will increase the battery usage. 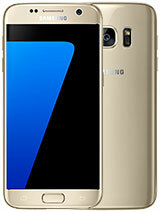 Chris22, 02 Jan 2019A5 2017 does not appear to be listed in the official Samsung Members in Romania! J7 2017 J5 20... moreBut I think, the A8 2018 will stuck on Android Pie. So if you change your phone, you will get only one update more. Better buy a8s or a9 with pie in beginning. If you need more updates. 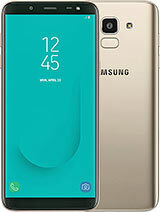 Chris22, 02 Jan 2019A5 2017 does not appear to be listed in the official Samsung Members in Romania! J7 2017 J5 20... moreIt's completely fair, the phone already got two major OS updates. Asking for a third one is a bit too much, even Samsung flagships don't get 3 OS updates. 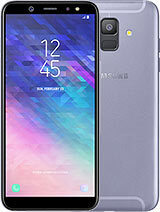 Fadlier, 01 Jan 2019My Smartphone now, i hope this device get Android Pie (9.0)A5 2017 does not appear to be listed in the official Samsung Members in Romania! J7 2017 J5 2017 and J3 2017 appear . I'm thinking of giving up the A5 2017 and buying an A8 2018. A5 2017 more surely remains stuck on Android Oreo 8.0.0. It is not fair ! Anonymous, 17 Dec 2018Don't agree the display and camera are both greats! 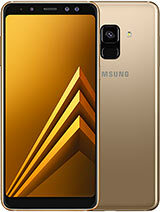 I've taken the best pictures with this pho... moresimple fact, go the photo-comparison tool in GSMarena, compare the photos of galaxy A5 2017 with any similarly priced phone (now 275$ online) from any other manufacturer, and come back and tell us what you find. I found that it camera is a down side in A5, especially in low light photos ( again comparing it to similarly priced phone). 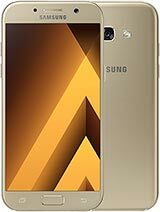 Total of 5638 user reviews and opinions for Samsung Galaxy A5 (2017).